▶ 50% OFF NORMAL PRICE! Nobody wants a boring iPhone. That's why we've created Pro Screens to make it awesome! Discover beautiful and unique designs for your iPhone. 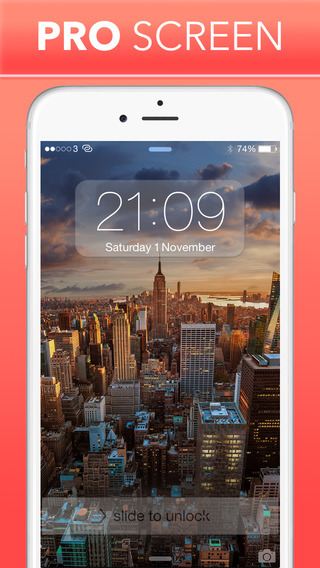 Get creative and customise status bars, slider bars, clock overlays and so much more. NO IN APP ADVERTISINGS OR PURCHASES! This app is designed to work on all iPhone models newer than 4th generation iPhone. Even though it's uniquely designed for iOS 8, it does also support iOS 7 and everything works fine on that software version as well. Do NOT try to copy this app in any way, shape or form. This will lead to prosecution by law. *"iPhone", "iPod Touch", and "Status Bar" are terms of Apple, inc. 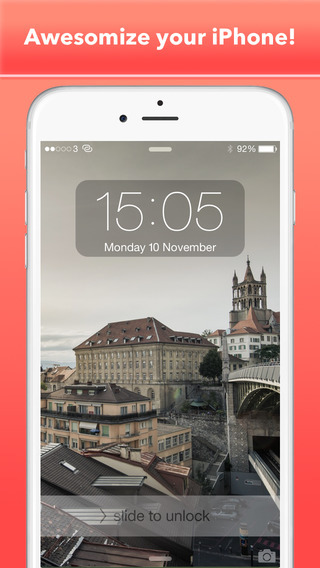 NOTE: Please keep in mind this app lets you customise your photos to make them fit lock screen and home screen designs. Wallpapers is what it allows you to create.